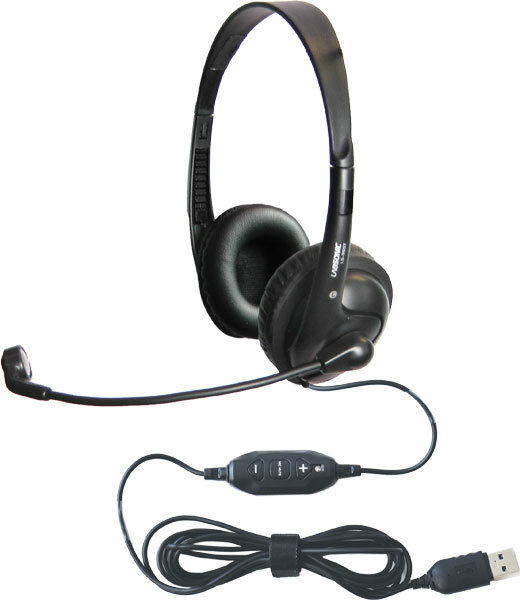 The lightweight Labsonic LS355USB stereo headset features a flexible boom microphone that adjusts easily to accommodate students of all sizes. Adjustable headband fits both children and adults, and soft leatherette earpads provide long lasting comfort throughout the day. USB plug is compatible with PC, Mac, and Chromebook. Inline volume control (with microphone mute button) will adjust your computer's volume level without using any settings menus.